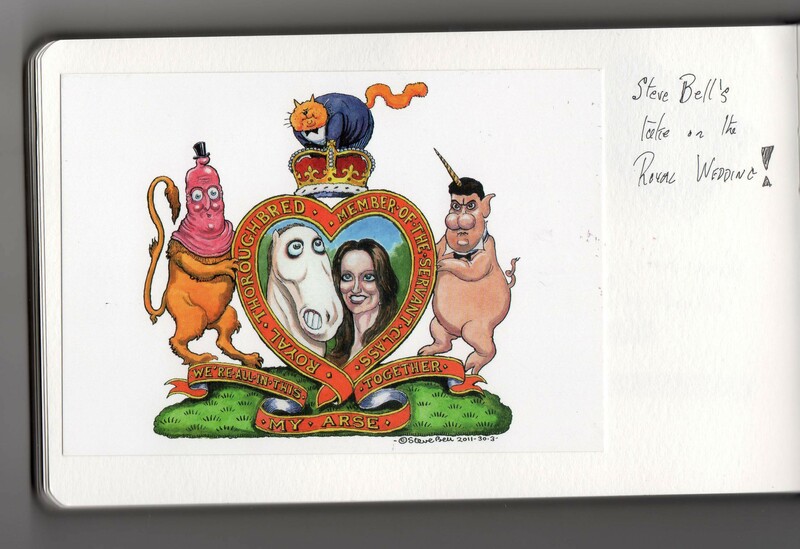 Steve Bell and the Royal Wedding . . . P.S. Thanks for asking. If you let me know which image you want I could save you the trouble of scanning it. Not that I would ever make fun of British sacred royal icons, but…hee hee. Who are the flanking characters? Living in another world isn’t a sad confession at all. It’s kinda surprising we never bumped into each other. how will i recognise you . . . I’ll be wearing the usual pink lurex frogman’s outfit . . . 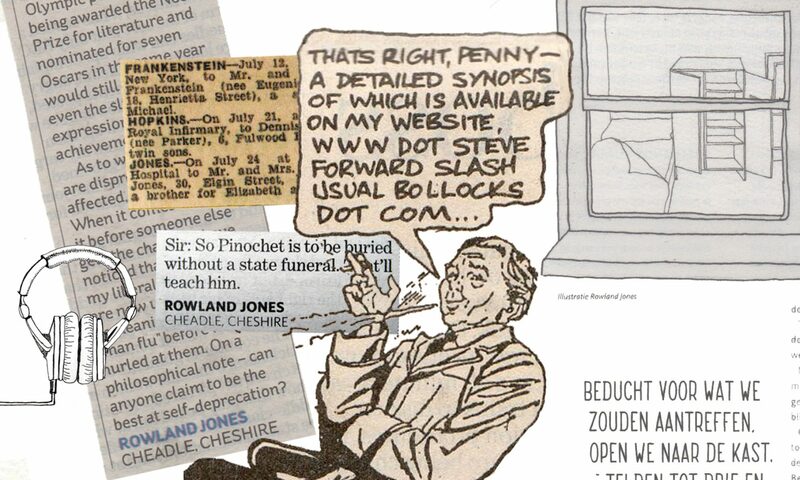 Previous PostPrevious Steve Bell and the Royal Wedding . . .
Next PostNext The wonderful world of animals- honestly, I mean it!